Here it is. 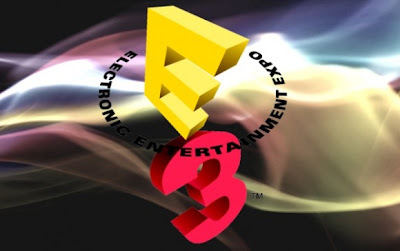 CeX’s final press event coverage of E3 2012. Today I’m going to bring you up to speed with EA’s offerings including some blockbuster titles that will surely get you pumped for the upcoming year. EA are somewhat of a love-hate company with some gamers hating the giants while others accepting their ability to bring high-brand and quality to the gaming market. This is what EA had in store for us. The conference began with a bang as footage of Dead Space 3 hit the screen. Dead Space is my absolute favourite modern horror franchise clearly inspired by the brilliant Resident Evil 4 so I was very excited to see what was in store for Isaac in his third outing. The new footage unfortunately wasn’t what I was expecting. We saw Isaac crash land on an ice planet and do battle cooperatively against necromorph foes. It resembled Lost Planet very much and the idea of cooperative play in Dead Space doesn’t appeal to me because it will take away the game’s horror appeal. The playable demo pretty much confirmed my fears with a set piece segment showed off where Isaac and his partner had to hold off enemy forces while trying to destroy a malfunctioning drill threatening to rip them apart. Immediately after the pair are confronted by a group of enemy soldiers and Isaac rolled into cover (sigh another cover-based shooter I see) and proceeded to defend himself. The demo concluded with our two protagonists doing battle with a giant Necromorph monster before being inhaled and swallowed whole. The action looked larger than life and I’m sure this will be a huge title but at the same time I’m hoping what I initially love about Dead Space is not lost in transition. Dead Space 3 is slated for February 2013. Madden NFL13 was next up on the big screen showing off the new mechanics and physics present. It looked like NFL13 took a leaf out of FIFA’s book by elaborating and implemented the player physics engine, something the series desperately needed. This Infinity engine certainly looked at home in NFL13. A bunch of new game modes including Connected Career were demonstrated suggesting Madden NFL13 will have unprecedented levels of interconnectivity between players while at the same time enhancing an already rich and enjoyable experience for American Football fans. Talented development team Maxis were up next and they revealed SimCity Social for Facebook and a brand new SimCity for the PC. The latter looked especially entertaining with a brand new Glass Box engine employed by Maxis to revolutionize the strategy-simulator experience. A quick demo showed off vibrant cities coming to life and fans of the SimCity should certainly be looking forward to this. Following the SimCity demo Peter Moore and DiCE representatives came on stage to discuss Battlefield 3’s new Premium Account option. Similar to Call of Duty Elite, gamers will be able to buy a subscription to obtain extra content, gain access to new maps, weapons, dog tags and all those other extra goodies. On top of that 5 new expansion packs will be arriving to Battlefield 3 over the next nine months. MMO fans should be pretty pumped as Bioware came on stage next to reveal all new content for Star Wars: The Old Republic. A brand new space mission titled ‘Space Mission Assault’ will be available alongside a new operation ‘Terror From Beyond’, a new companion the ‘HK-51 Assassin Droid’, a new playable species ‘Cathar’, a new warzone ‘Ancient Hypergates’, a new world to explore ‘Makeb’, all intertwined with a new level cap and a host of new abilities. Medal of Honor: Warfighter was demonstrated next by the game’s executive producer Greg Goodrich. A quick playable demo went through all the things we’ve come to expect from a warzone based FPS – there were plenty of weapons, explosions, guns and because it ran on Frostbite 2, it felt all too familiar to Battlefield 3. A quick look at EA Sports was next with a whole bunch of social features for Madden and FIFA coming to Facebook and Smartphones. Then FIFA 13 was shown off in a bit more detail including an in-depth look at precision dribbling and a whole host of the new features present. Rather surprisingly and to my delight, EA proceeded to announce a partnership with UFC and welcomed the President of UFC Dana White onto the stage to discuss the new possibilities for the franchise. I’ve been a massive UFC fan for a long time now and even though the games have been thoroughly enjoyable so far, I believe EA Sports can take the UFC experience to a whole new level. My all time favourite racing game is Burnout Paradise. With this in mind, upon seeing the announcement of a new Need for Speed game subtitled Most Wanted ‘a game by Criterion’, I was incredibly pumped. A quick trailer showed off some fast paced driving and a whole host of cool cars and I’m really hoping this game gives me the same wonderful experience I had with Burnout. A quick playable demo showed off an open world racer that resembled Hot Pursuit, Criterion’s last venture in the Need For Speed franchise, but here’s to hoping this will be an even better racer than before. The conference ended with Crytek announcing the third installment in their fantastic FPS series Crysis. A playable demo showed what we’d expect from Crysis 3, beautiful graphics, fantastic environments filled with plenty of bad guys to take down. If the other two are anything to go by, this will be one hell of game. So there you have it, EA were straight to the point with their press event and I totally admire that. They came in with a purpose, to show off a bunch of cool games and they did just that. I’m by no means blown away by these announcements, but they look impressive and definitely have potential. EA are so huge in the video game industry that it’s hard not to notice their efforts and with that in mind, I have no doubt these games will all excel in their own way. So there you have it for the E3 press events of 2012. Thank you so much for checking out CeX’s coverage and I hope this has inspired you all to go do a little bit of your own research to check out in more detail what the video game industry has on offer in the upcoming year.